Nevertheless, there are positive steps that you can take to help your child motivate himself to do better in school. Most of these steps involve setting up a structure to enable him to have better discipline and follow-through. This structure improves your child’s chance of success and the taste of success is often what drives motivation. In my work with parents and kids over the years, I have found the following 10 tips really help to put your child in the best position to succeed and to be motivated. Keep a relationship with your child that is open, respectful, and positive. Remind yourself that you and your child are on the same team. This will allow you to be influential, which is your most important parenting tool. Punishing, preaching, and threatening will get you nowhere and will be detrimental to your relationship and to their ultimate motivation. Your feelings of anxiety, frustration, and fear are normal and understandable. But reacting to your kids out of these emotions is ineffective and makes things worse. Remember, your job is to help him learn how to be responsible. If you get negative and make this a moral issue, then your child might become defiant, reacting to you instead of thinking through things himself. Enforce this rule and stick to it. 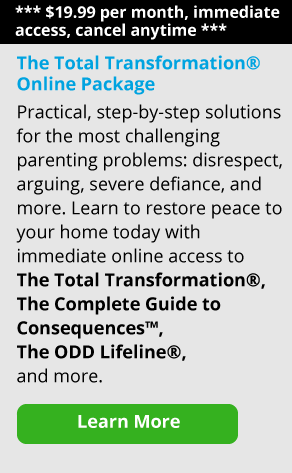 If your child does not yet have the necessary discipline, this will help to create it. You are helping her learn how to do what her own brain is not yet equipped to do, which is to be disciplined and to delay gratification. If your child is not studying and his grades are dropping, you have a right to get involved whether he wants you or there or not. Again, you’re not there to do the work for him. Instead, you are there to help set up the structure that he is unable to create for himself. You might decide that he must spend a certain amount of hours devoted to study time. During this time, no electronics or other distractions are allowed. You might make the rule that even if he finishes all his homework, he must complete study time by reviewing, reading, or editing. Some kids do better listening to music while they study, and that’s okay. But keep in mind that this can be tricky because their music is usually integrated with their phones. This means YouTube, Twitter, Reddit, and instant messaging will all be at their fingertips. If you can’t effectively keep them off those apps, then no phone and no music until their work is done. Just say “You can listen to music when you finish your homework.” Think of it this way, their school probably doesn’t allow phones in class and neither should you. Understand that this structure is not a punishment. Rather, it is a way to help him to develop a good work ethic and to focus on his school subjects. If your child’s grades and work habits are not up to par, you can set up a plan by sitting down with him and his teachers. Have your child check with his teacher each day before coming home to ensure that he has all his homework assignments. Also, you can ask him each morning to ensure that he brings his homework back to school. For me, nothing was more frustrating than my son doing his homework but then forgetting to bring it to school. Once your child gets better at managing his time, completing his work, and getting organized, then it’s time for you to back off. Let him do it on his own. Only step in if he is consistently having a problem. You may need to sit with your child while she’s doing her work or at least to be nearby to help her stay on track. She may need a quiet location away from brothers and sisters or she may do better in a room near others. You can help her experiment. But once you find what works best, keep her in that location. Don’t do her work for her, but you may need to review her work and ask her if a certain paragraph makes sense to her, for example. Decide together whether or not it will be helpful to your child for you to help him break down his assignments into small pieces and organize on a calendar what he should get done each day. You can get him a big wall calendar or a whiteboard. You might also get extra help from his teacher or get a tutor for him if that’s in your budget. You want to be positive and helpful to your child. At the same time, though, you have to be firm. You have to consistently enforce the rules you establish. Being firm and consistent sends the message to your child that you know he can succeed. Being firm also means that you do not shield your child from consequences. If he doesn’t follow the rules you set up, apply the consequences. And don’t try to shield him from the consequences of not doing his work, even if that means bad or failing grades. In being firm, stay positive. For every negative interaction with your child, try to create ten positive ones. Try to put the focus on supporting and encouraging him instead of worrying and nagging. And don’t take his performance personally. When you start to believe his grades are a reflection of you or your parenting then you will be on his case and it will make things worse. 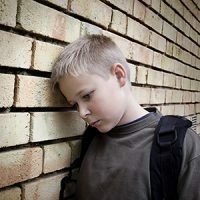 Recognize that so much of your child’s lack of motivation (or what looks like irresponsibility) might be his own anxiety or shame about academics and schoolwork. Kids may not be able to explain all of this to you because it’s not always on a conscious level for them. Anxiety can be misinterpreted as a lousy attitude, lack of motivation, and irresponsibility. Often the cover up for these vulnerable emotions can take the form of acting out, shutting down, avoidance, and defiance. Remember that what is happening now may look very different as your child matures and develops. While a little anxiety can motivate, too much blocks your child’s ability to think and to have access to the part of the brain that helps him with motivation. Keep your emotions in check by recognizing that it may be your child’s anxiety at play rather than his laziness. Calmly help to give him a better structure to get his work done and it will help. It’s nerve-wracking and frustrating to see our kids under-function. We feel that their lack of motivation is a poor reflection on our parenting. So we get reactive and shift into overdrive. We want to do anything to avoid our own feelings of shame, embarrassment, failure, or fear. As a result, we may be tempted to over-function by helping to complete their work for them. But don’t do it. Resist the temptation. The more you over-function for your child, the more he will react to your intensity, which causes things to go further and further downhill. Just set up the structure to help him succeed but let him do the work and bear the consequences, good or bad. Be your child’s coach. Set the strategy and give direction, but stay on the sidelines and let your child play the game. Root for him to win and praise him when he does. But don’t be afraid to let him lose. It’s all part of growing up and learning to take responsibility. When we see our child seeming to have no interest in his life, it’s easy to start fast forwarding into the future. When he acts like he doesn’t care about anything except video games and his friends, we worry that he won’t be successful or even functional on his own. This ramps up our anxiety and our fear. None of us have a crystal ball or can really see into the future. Focusing on the negative things your child is doing will only bring the spotlight on them, and may set you both up for a power struggle. Instead, focus on your child’s positive traits and help him work on those in the present. Is he outgoing? Helpful? A good cook? Good with cars or electronics? Focus on all the things that go into a developed, successful person, not just academics and grades. Help your child develop in social, creative, and emotional ways. Remember to always keep the big picture in mind. For all of these tips, start from where your child is. What I mean is that, in many cases, your child may have a long way to go. And your child won’t like the structure at first, but he will get used to it. Be patient. Don’t expect improvement overnight. But don’t underestimate your child either. Be confident that he will come around and will improve with the structures you have put in place. 1. Motivating Underachievers Part I: When Your Child Says "I Don't Care"